To support sport achievements was always Pharma Maac’s favourite devotion. A group of 27 best Serbian kayakers made preparations in Turkey before a very challenging competition season. 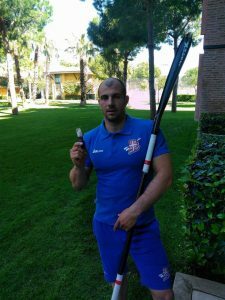 Pharma Maac Serbia helped the Serbian kayakers with products from our Orthomol portfolio to perform the preparations in the best possible way before they start the important competitions of the Serbian Cup and the European Championship in Belgrade at Ada Ciganlija. We hope that our donation will help them to perform well and achieve their best results. We wished them a lot of success, and we are sure that we will look forward to many medals together.